Know that feeling when you come up with a new project and you are just so excited. You have thought it all out. The first few days you get the most amazing insights on what to include. You have started your first (20) drafts. Then your excitement just sizzles out. Maybe you made your project to big, maybe you just don’t really feel like it anymore? I have had so many projects that ended like this. 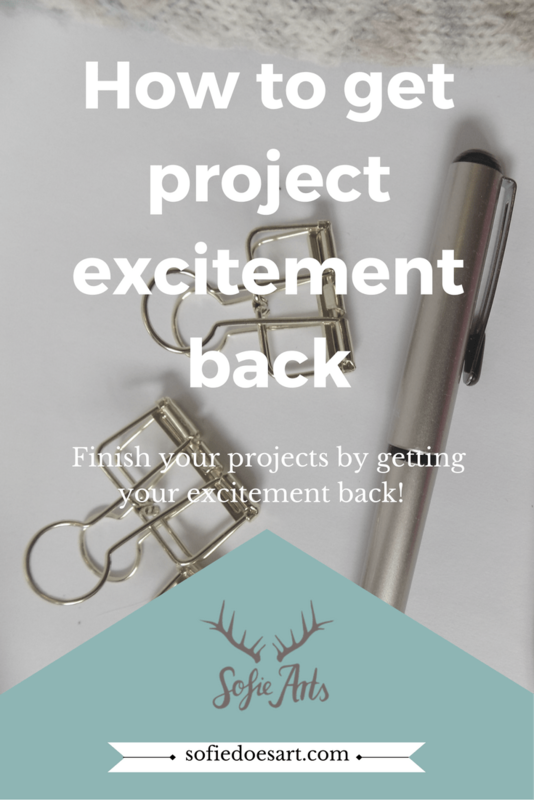 To keep up the excitement for your projects can be hard. So what if you, like me, have some great project that you would want to finish but you are missing the excitement and thus motivation to do so? When I first started blogging the word “pitch” gets thrown around a lot. You have to make sales email pitches and pitch guest post and projects to your readers. There are hundreds (if not thousands) post out there on how to write the perfect pitch. In the end, however, a pitch should make someone excited about the idea. If you can write a good pitch wy not use that and pitch the idea to yourself. If you had to sell this idea, no matter how may cons there might be, what would you say? What are the good points and why would this project work. And if you really can’t write any pitch about this project maybe you should just skip the entire thing? You remember this introduction where I said sometimes my projects grow so big that I am scared to get started. When I come up with a good craft idea my head can make that into a great independently published craft book with a crafting show attached. Then I realize that is way too big and unrealistic. My craft idea suddenly seems totally uninteresting because it’s not an entire book. And gone is my project excitement. When you know where you go wrong, you know what you need to fix. Maybe you feel like you need to plan all the details before starting. Or instead you haven’t planned it enough and you run into problems that way. Find where you projects takes that wrong turn and try to fix that. I now try to write down my initial plan and then I will at least make that. Whenever I come up with wild and crazy add ones I still will first work on the main idea. When you start working on the project you can end up heads deep into it. It is hard to see the start and even harder to see the finish line. When I am getting really desperate on something I just like to take a minute to imagine being done. Don’t you think it would feel wonderful to push publish on that post you have been writing for ages? Or to see the end result of a blog makeover that went well. And if none of that works maybe that project doesn’t work. Don’t waste time on it that you could be spending motivating yourself for that other project. Let me know what makes you lose your excitement for a project? Is it too late to start a successful blog?